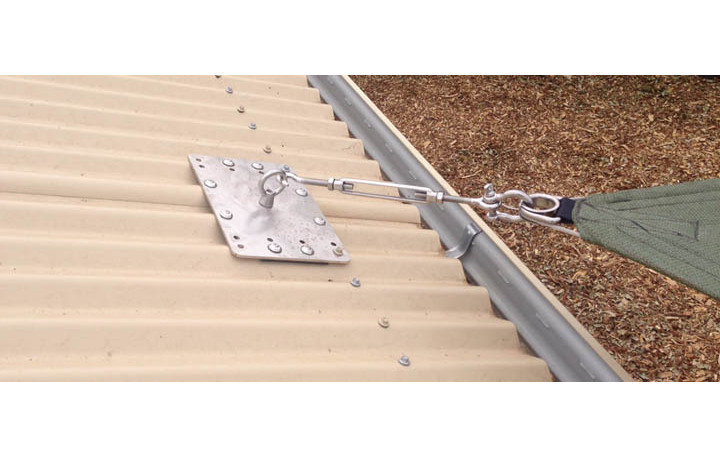 Stainless steel roof fixing plate for an iron roof. All fittings are marine grade stainless steel. 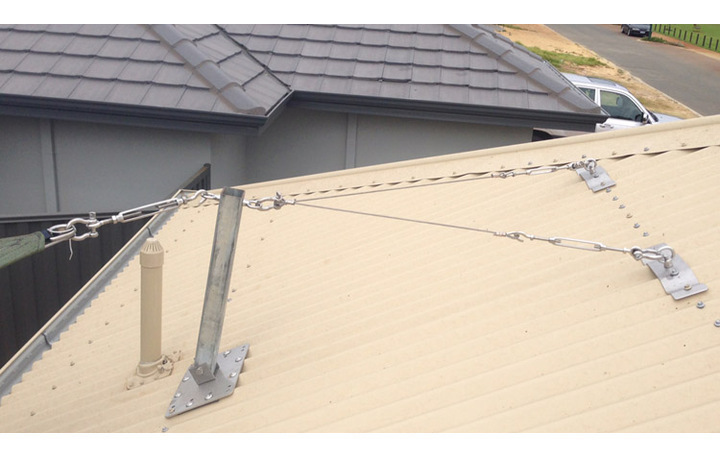 Method of attaching roof mast to tile roof. 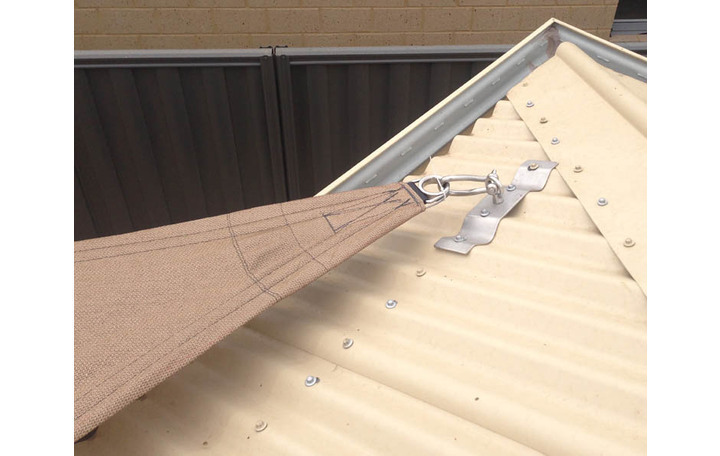 Sail is attached to high swivel post on metal roof with back stays. 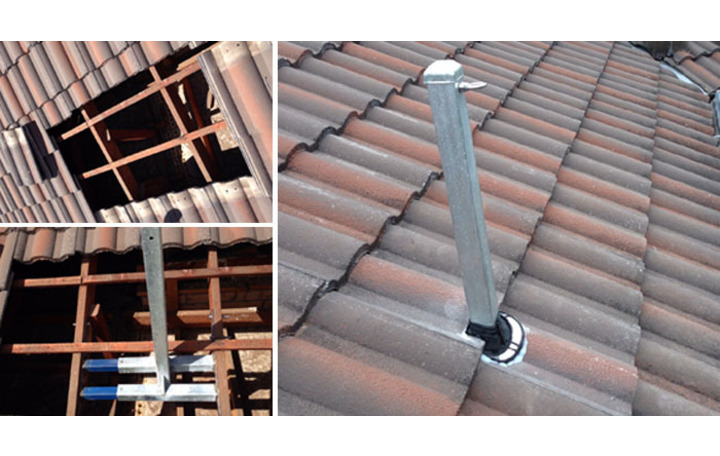 Stainless steel roof plate used as sail fixing point on an iron roof. All fittings are marine grade stainless steel. 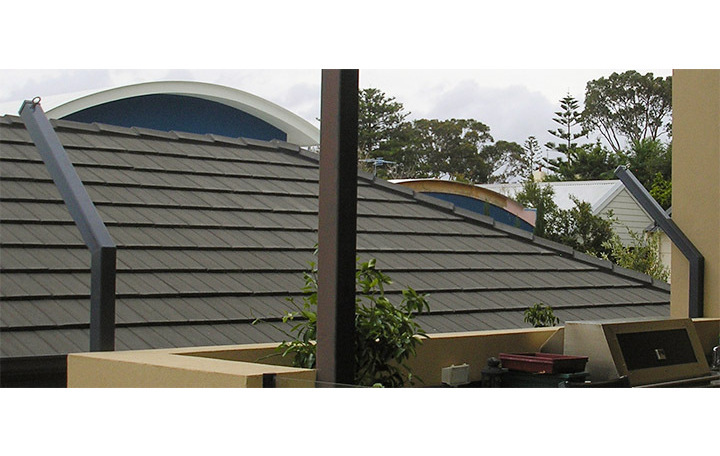 Facia brackets allow one corner of the sail to be mounted at the height of the roof facia or gutter. 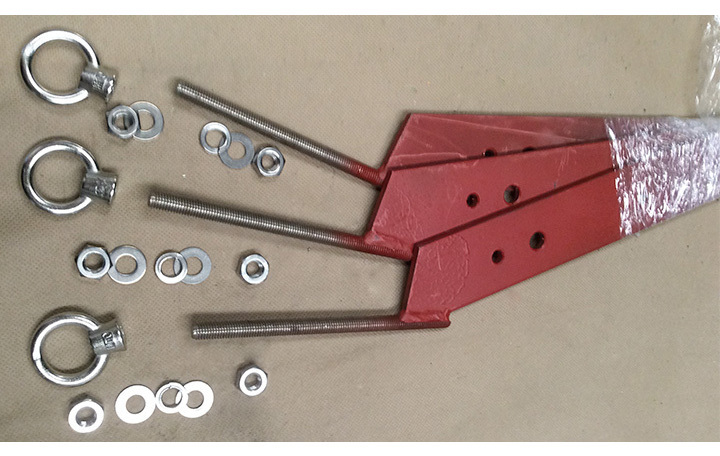 Exposed parts are stainless steel. 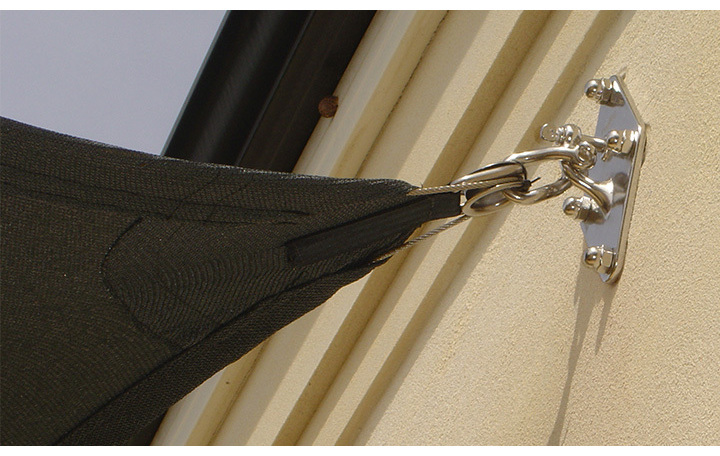 Chemically fitted wall anchor point (stainless steel). Diamond wall mount is chemically anchored into wall (stainless steel). 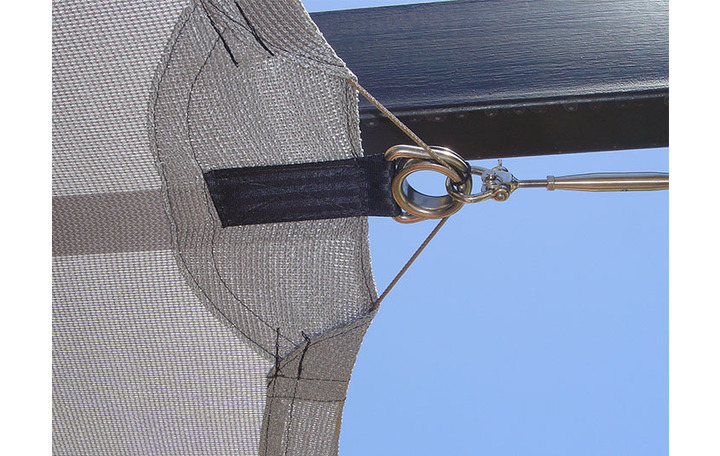 Bent balcony posts to increase shade cover. 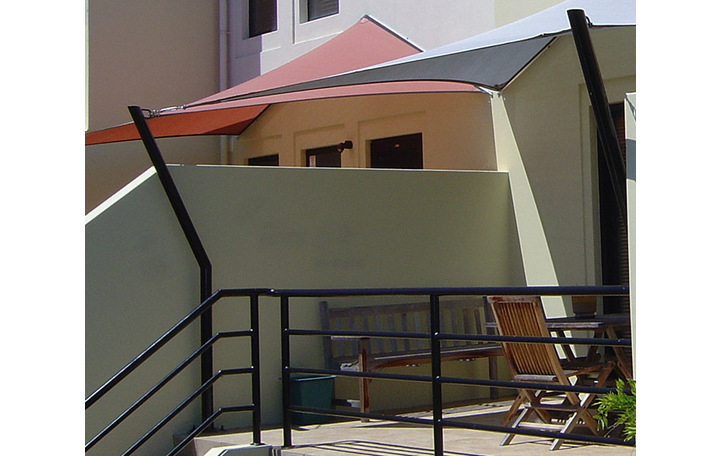 Round galvanised steel shade sail posts that have been powder coated. 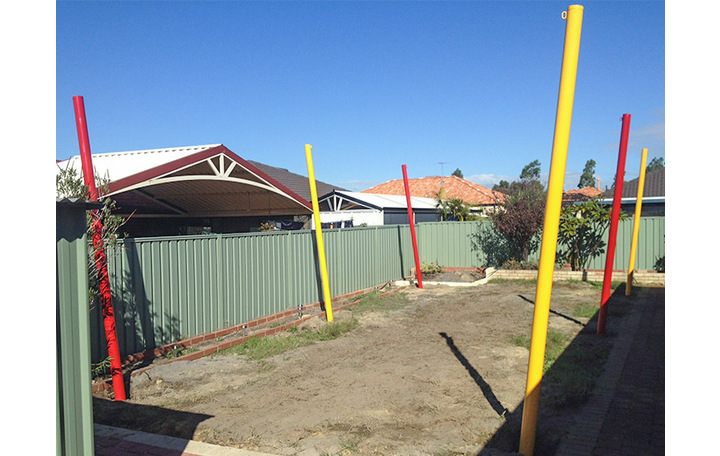 Posts are fixed into the ground with concrete to a minimum of 1 metre depth. The size of the post is engineered according to the local conditions, topography and the size of the sail. 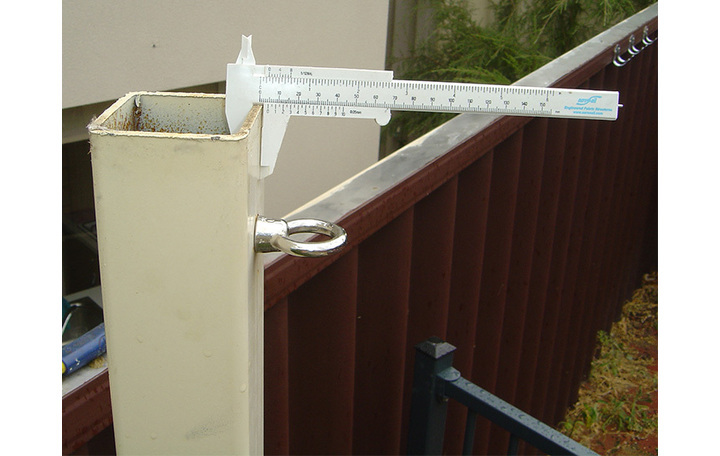 Bent posts used on balcony. 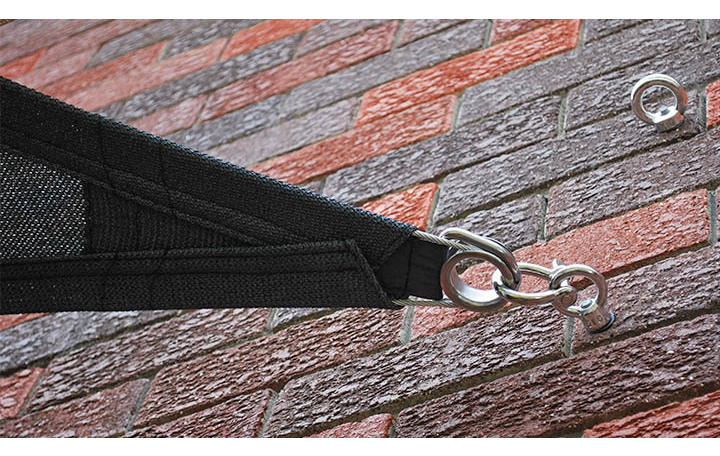 A typical intermediate corner shape showing stainless steel hardware, stainless steel rope and double webbing for additional strength. Hems are double sewn using non degradable PTFE thread.